Purpose: Enzyme replacement therapy (ERT) has been shown to improve outcome in classical infantile Pompe disease. The purpose of this study was to assess mortality, morbidity, and shortcomings of ERT in a larger cohort of patients treated outside clinical trials. To accomplish this, we retrospectively analyzed the data of all 23 subjects with classical infantile Pompe disease having started ERT in Germany between January 2003 and December 2010. Results: Ten patients (43%) deceased and four others (17%) became ventilator dependent. Seven infants (30.5%) made no motor progress at all, while seven (30.5%) achieved free sitting, and nine (39%) gained free walking. Besides all the seven patients (100%) attaining no improvement of motor functions, four out of the seven (57%) achieving to sit without support, and three out of the nine (33%) being able to walk independently, secondarily deteriorated, and died or became ventilator dependent. Sustained reduction of systolic function despite reversal of cardiac hypertrophy (n = 3), gastroesophageal reflux (n = 5), swallowing difficulties or failure to thrive (n = 11), recurrent pneumonias (n = 14), port system complications (n = 4), anesthesia-related incidents (n = 2), severe allergic reactions (n = 6), hearing loss (n = 3), and orthopedic deformities (n = 4) were problems frequently encountered. Conclusion: Although this study has important shortcomings due to its retrospective nature and because important variables potentially influencing outcome were not available for a substantial amount of patients, these data suggest that classical infantile Pompe disease still remains a life-threatening condition associated with high morbidity and often dismal prognosis. Currently, a relevant number of patients do not benefit definitely from ERT. The authors would like to thank all patients and their parents for participating in this study. We are also grateful to Stephan Gromer, MD, Genzyme, for his support. 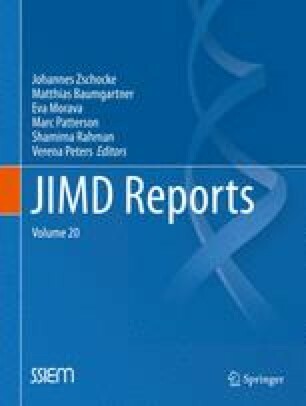 A retrospective analysis of 23 infants with classical infantile Pompe disease starting ERT in Germany between January 2003 and December 2010 confirms that ERT has substantially improved long-term outcome but also demonstrates that this disorder still remains a life-threatening condition associated with high morbidity and often dismal prognosis. Andreas Hahn, Susanne Praetorius, Nesrin Karabul, Martina Baethmann, Julia B. Hennermann, Nicole Muschol, Thorsten Marquardt, Martina Huemer, Marianne Rohrbach, Gökce Seyfullah, and Eugen Mengel have received speaker honoraria and/or research grants from Genzyme Corporation, Germany. Johanna Dießel, Dorle Schmidt, Reinald Motz, Claudia Haase, René Santer, Claudia Thiels, Martin Smitka, and Ann Meyer declare that they have no conflict of interest. All procedures followed were in accordance with the ethical standards of the responsible committee on human experimentation (institutional and national) and with the Helsinki Declaration of 1975, as revised in 2000. Informed consent was obtained from all parents of patients alive for being included in the study. This article does not contain any studies with animal subjects performed by any of the authors. Andreas Hahn: planning of the study, analysis and interpretation of data, and drafting of the manuscript. Julia B. Hennermann, Thorsten Marquardt, and Eugen Mengel: planning of the study, analysis and interpretation of data, and critical reading of the manuscript with significant intellectual contribution. Susanne Praetorius, Nesrin Karabul, Martina Baethmann, Nicole Muschol, Martina Huemer, Marianne Rohrbach, Gökce Seyfullah, Johanna Dießel, Dorle Schmidt, Reinald Motz, Claudia Haase, René Santer, Claudia Thiels, Martin Smitka, and Ann Meyer: acquisition of data, analysis and interpretation of data, and critical reading of the manuscript with significant intellectual contribution.